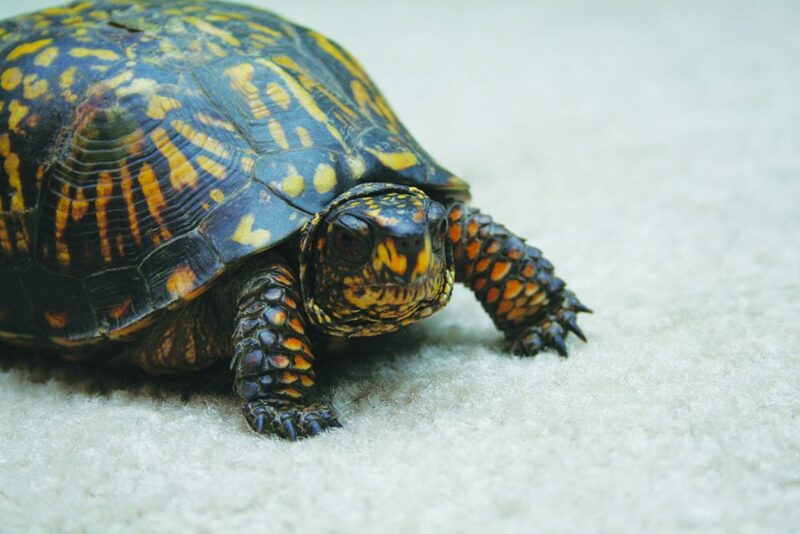 Turtles, rabbits and guinea pigs, are some other popular pets. The majority of the pets I treat in our clinic are cats and dogs. 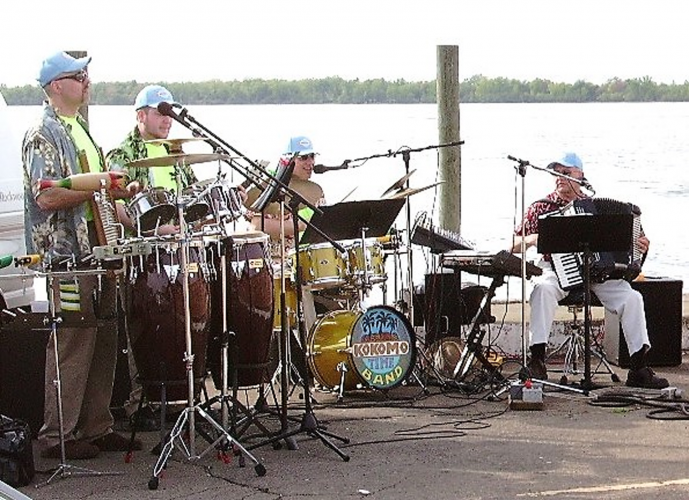 But on occasion, we do see a variety of exotic pets from rabbits and guinea pigs to lizards and snakes! Surprisingly most of the illnesses I see in our exotic pets are due to what is called improper husbandry or care of that pet. Improper diet, lighting, temperature and humidity of cages can lead to a variety of health issues in our exotic pets. I am going to discuss some of the basics for proper husbandry of the most common pets I see in practice. Rabbits. Rabbits are probably the third most common pet I see at the Dunkirk Animal Clinic. I compare rabbits to a small horse. They are hind gut fermenters and have continuously growing teeth. Because of this, they constantly need to be eating fiber and roughage. Alfalfa pellets provide the fiber but not the roughage they need for a healthy gut and healthy teeth. Constant access to hay, grasses, and greens is very important for proper health. Limit fruits and also high calcium greens like spinach. During a rabbit’s shedding time, it is important to keep your rabbits brushed as they can become obstructed with their own hair as they groom themselves. 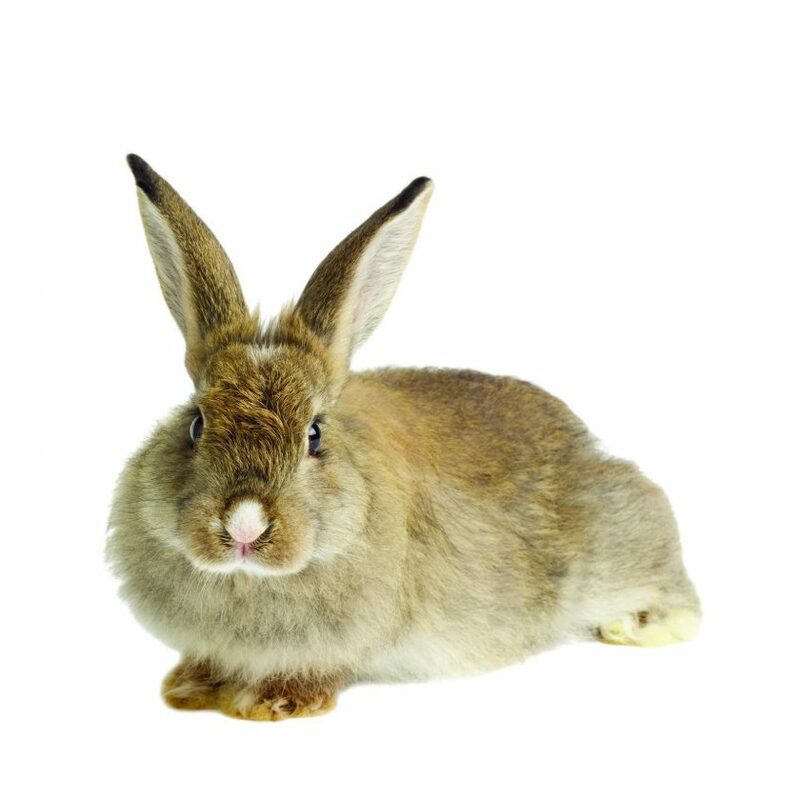 As rabbits get older, the most common issue is overgrowth of their teeth. It is important to have your rabbits checked by your veterinarian on a regular basis. Guinea pigs. 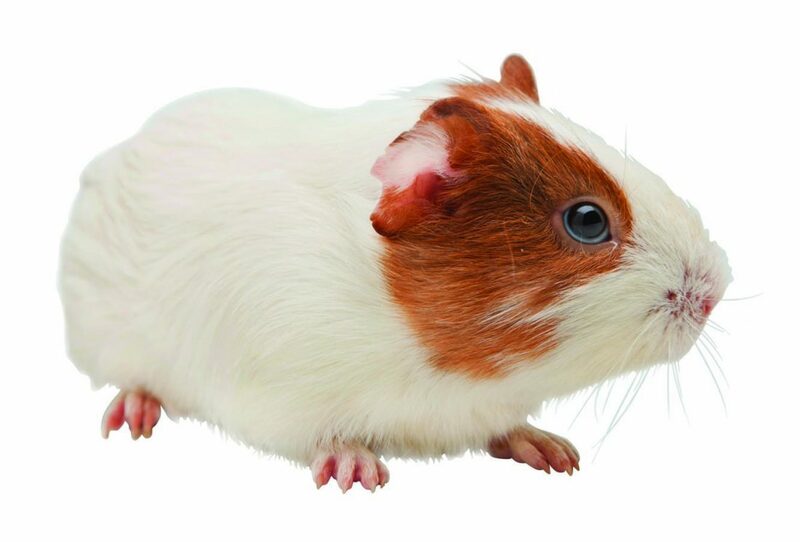 Guinea pigs are similar to rabbits as they also need constant access to fiber and roughage. Hay, greens, and various vegetables are important for a guinea pigs health. Guinea pigs cannot synsethize Vitamin C, therefore they either need Vitamin C drops added to their water or constant access to Vitamin C rich vegetables like oranges and peppers. Reptiles. Every reptile species differs in their requirements for proper cage set up. Be sure to research the proper cage substrate, the proper heat source, the proper humidity, and the proper lighting. Many reptiles need specific UVA and UVB lighting so they can properly synthesize Vitamin D for strong bones. Without this lighting or if they cannot get close enough to this lighting, then they can develop metabolic bone disease and brittle bones. When I see these lizards with metabolic bone disease, it is usually too late to help them. Some reptiles like the chameleon are very sensitive to assuring they are in the proper humidity in their enclosures. Snakes also need a constant source of water, a heat source, and proper humidity to help them with the shedding of their skin. I recommend feeding killed mice to your snakes as the rodent can actually attack and cause severe wounds to your snake. Snakes are also escape artists. Be sure they have the proper clips and something heavy on top of their cage lids so they cannot escape! Turtles and Tortoises require completely different cage set ups. Turtles are water dwelling while tortoises are land dwelling. Again be sure you are using the proper substrate. Turtles that require an aquarium need their water changed on a regular basis as they can get shell infections from swimming in their excrement filled water! Ferrets. Ferrets require a high protein diet and are very curious and mischievous creatures. If allowed to roam your house, be sure to “ferret proof” your home. They will hoard and steal what they can and have been known to swallow things they shouldn’t! You will need to put child proof locks on all your cabinets as they will find a way to get in and explore when they can! Chinchillas. Chinchillas are cute little furry creatures that require a lot of exercise and proper care of their coats. They need to be in a bit cooler environment and they need large cage space for proper exercise. To help maintain a normal coat, they must have regular dust baths with a special dust sold at your local pet store. Hedgehogs. Hedgehogs require a high protein diet with various insects. They can eat fruits and berries as well, but they are prone to obesity so these should be given in limited amounts. Obese hedgehogs can be prone to fatty liver disease and heart disease so caution should be taken with the diet you are feeding your hedgehog. Exotic pets can make great pets as long as the owner understands what is necessary for the proper care of these pets. Educate yourself, establish a relationship with the pet store owners and your veterinarian so when a problem arises you have the support you need to help keeps these pets healthy and happy!